Faith and Zombies: Does Zombie Fiction Have A Place In Christianity? Everywhere I look these days, I see zombies. In my neck of the woods, you can see them at a local scifi/horror convention called ShockaCon, and we even have an annual Run Like Hell HallowEast Zombie 5K Run/Walk that takes place in Charleston, WV’s East End. The latter event benefits the Cystic Fibrosis Foundation. Here’s a bit of the description of this unique event… and I’m sure you’ll have trouble wondering why anyone would WALK this particular 5K once you’ve read it! “Humans run from zombies. Zombies run after humans. Complicated, right? Anyway, I watched a bit of the Walking Dead on Netflix and realized that I literally have not bothered with zombies in any form since I played Resident Evil 2 back in the day. RE2‘s survival horror genre was a new experience for me back then. The combination of cinematic tricks and detailed graphics kept me on the edge of my seat. In fact, I beat the game in a single night because I knew I wouldn’t be able to sleep anyway. When dawn came, as most zombie experiences go, I was victorious, Raccoon City was saved and the zombies were vanquished. In case you’re wondering RE2 is the survival horror game Weasel is thinking about in a certain Midwich alley in my first book, Johnny Came Home. JCH includes zombies, but not the sort of zombies we’re discussing here. JCH‘s zombies are ordinary, living folk who’ve been mass hypnotized to do someone’s will, rather like pod people, if you will. What we’re talking about here are dead folk walking around trying to eat live folk! Modern zombie fiction and film owe much to George A. Romero’s 1968 cult classic Night of the Living Dead. Filmed in black and white, Romero gave us the story of a hapless group of people trapped in a house by the sudden onset of a plague of the undead. It was gory and horrifying in every sense of the word, even compared to other horror films of the time. No one gets out alive. Even the hero, Ben, dies in the end; tragically, he is shot by someone mistaking him for a zombie after his night-long fight against the walking dead! [And if that was a spoiler for you… the film is literally 46 years old, dude]. 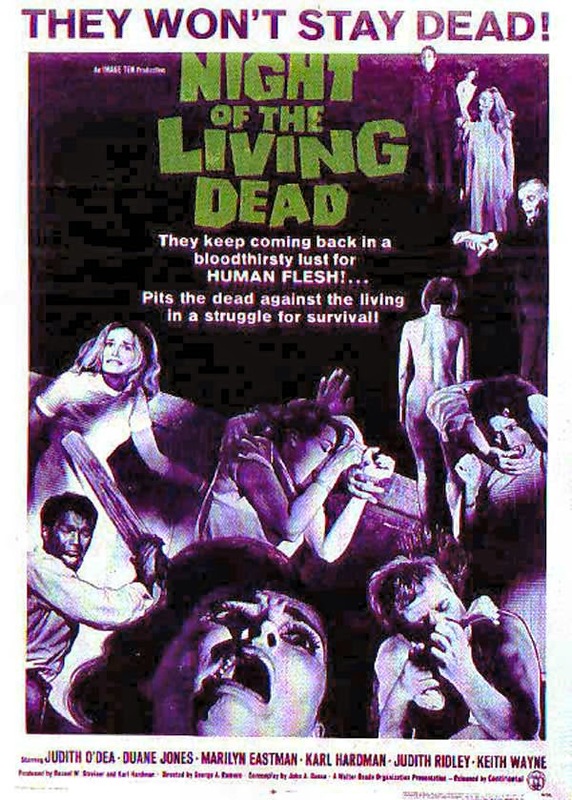 Most of the rules or tropes of zombie-fic were established in the film: they take a bit of time to re-animate; they are violent, ravenous and dim-witted monsters who walk along in a relentless, shuffling gait; they’re more dangerous in large groups; you can kill them by burning them completely or by a crushing blow or gunshot to the head. Zombie films have come a long way since Romero. The 2002 British apocalyptic horror film 28 Days Later introduced us to vicious, fast-moving zombies that are created within seconds of infection. The film’s hero, a bicycle courier named Jim, awakens from a coma to a world with a zombie infestation already in full swing, albeit confined to the UK. According to the film’s director, Danny Boyle, the screenplay by Alex Garland was inspired by John Wyndham’s The Day of the Triffids (which likewise begins with the protagonist awakening from a coma in the middle of an apocalypse, of plant-type aliens in this case). 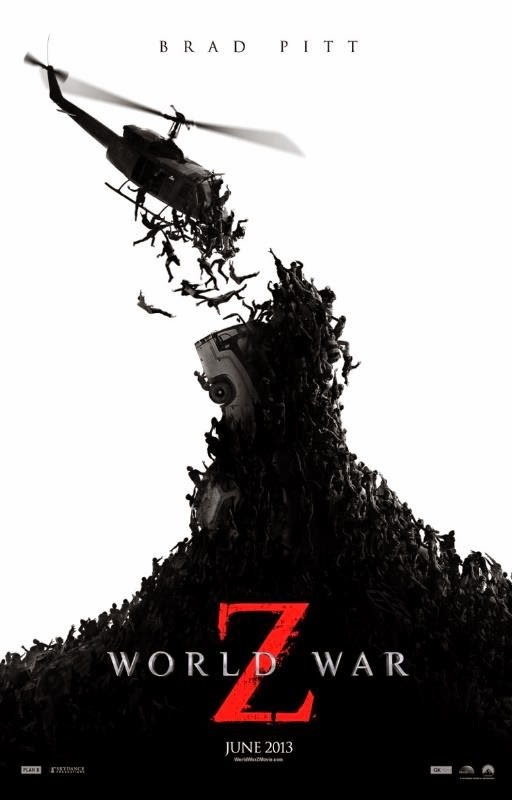 World War Z, based the book by Max Brooks [itself a follow-up to his 2003 The Zombie Survival Guide], also departs from the Romero tradition [even though the books do not]. WWZ‘s zombies are not only fast, but also tend to self-organize like ants to form living ladders and such, giving them the appearance of intelligent strategy and allowing them to swarm over humanity with relative ease. Of course, there’s no real intelligence behind it. A flock of birds or a school fish can make tight sudden turns simply because one organism is following another so closely; semantics are little comfort to those exposed to such a zombie swarm! Like 28 Days Later, the WWZ zombies are formed within seconds of infection, causing a domino effect of undead assailants in close quarters. 28 Weeks Later added asymptomatic carriers to the mix (highly contagious persons who do not present as zombies). 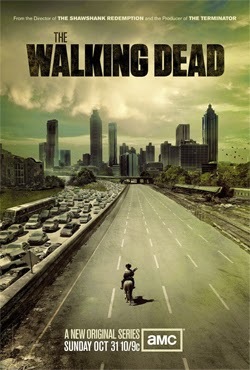 AMC’s The Walking Dead, based on the comic book series by Robert Kirkman, Tony Moore, and Charlie Adlard, still follows most of the rules laid down by Romero. Despite the lack of innovations like faster zombies, swarm intelligence and near-instant zombification, The Walking Dead manages to hold its own. and of The series follows sheriff’s deputy Rick Grimes’ grim tale of survival after he (surprise) wakes up from in a hospital from a coma to find the world overrun with walkers [aka zombies]. The plague is a virus transmitted by a zombie bite, but the pace is more variable, ranging from a few minutes to hours. The series introduces asymptomatic carriers in Season 2. One of the more common themes of the Walking Dead is a relative who keeps a zombie or zombies hidden away, unable to destroy them, hoping they can be cured. Now maybe that’s not such a novel theme in zombie films these days. I don’t know. I don’t really get to watch a lot of them and I really prefer to watch action, sci-fi and fantasy with my limited kid-free viewing time. But as a literary apologist, to use fellow author JC Lamont’s term, I suddenly saw real possibility in the idea of Christian zombie fiction. Interestingly enough, I asked some fellow Christian authors what they thought about Christian zombie fiction and the consensus was overwhelmingly positive. 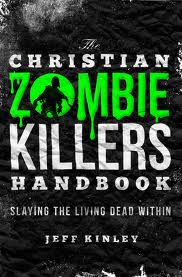 many noted the allegorical opportunities; one even pointed out that there is a book called The Christian Zombie Killers Handbook (Jeff Kinley) that uses a combination of fiction and nonfiction to explore theological themes. Sounds awesome! Suggested catalysts for the zombie novel included demonic possession, God’s judgment ala Daniel 12:2 often quoted in zombie films and literature: “And many of them that sleep in the dust of the earth shall awake, some to everlasting life, and some to shame and everlasting contempt.”(KJV)], alien symbiosis with a corpse, and the typical diabolical villain or government agent harnessing chemical [like a mutagenic gas] or biological [i.e., a virus or fungal spore] warfare. I think zombie fiction poses some rather unique opportunities to explore original sin, total depravity and redemption if Christians embrace the mission. Think about it: Zombies are like us in way: dead men walking, driven by their appetites. 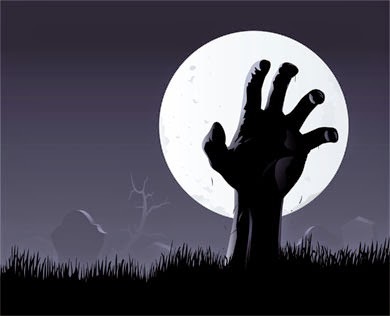 Granted, zombies are dead-dead and we’re dead in our sins, but the analogy holds. Zombies go about their day to day half-lives with no thought that there might be more than consuming and pursuing their appetites. True humanity knows love, art, music, spirituality and reason, but a zombie knows only its appetite… brains! brains! Eat brains! Some levels of humanity are more depraved than others. Zombies and our fellow human survivors are both potential adversaries in most well-written zombie media. Without taking the analogy too far, we can say that zombies are the effects of Original Sin at its most visceral level. Humans without the cure are a bit like religious or spiritual humanity; they know there’s supposed to be something more, they want to save their zombie loved ones from their own wretched state, but they don’t really know how. Christians are humans with the cure. We’re like the hero who suddenly awakens to the fact that the world is in dire peril. Yet a lot of us spend time fighting zombies rather than curing them. A good number of us are indistinguishable from zombies, pursuing our own appetites and consumed with consumption. At the very least, I think we can learn something from zombies: that our mission to save the world through Christ needs to take priority over mere survival. We work for something better, a bright and glorious dawn where the dead walk no longer but are alive forevermore!